Around 2500 ft above the sea level at Pavagadh, near Baroda is a small lake called “Chasia talao”. Inside the lake at almost knee deep in water is this beautifully carved granite temple of Lakulisa belonging to the 10th century. To behold an ancient temple with such exquisite carvings in the middle of a waterbody at a height of 2500 ft is rather surreal. The carvings on this already dilapidated temple are noteworthy. An image of Lakulisa which is the central deity is carved out on the lintel of the temple entrance. The temple layout had a garbhagriha, antarala, mandapa and an entrance porch constructed horizontally. Today only parts of the superstructure has survived. Around 2500 ft above the sea level at Pavagadh, near Baroda is a small lake called "Chasia talao". Inside the lake at almost knee deep in water is this beautifully carved granite temple of Lakulisa belonging to the 10th century. To behold an ancient temple with such exquisite carvings in the middle of a waterbody at a height of 2500 ft is rather surreal. The carvings on this already dilapidated temple are noteworthy. An image of Lakulisa which is the central deity is carved out on the lintel of the temple entrance. The temple layout had a garbhagriha, antarala, mandapa and an entrance porch constructed horizontally. Today only parts of the superstructure has survived. The crumbling structure has pilasters with exquisitely carved figures of divine and celestial beings. All around the temple there are carvings of Brahma, Vishnu, Kalyanasundaram Murti, Dakshina Murti, Gajendra Moksh, Indra, seated Ambika and Sarasundari figures. The mandapa stands on eight magnificently carved pillars with Kichak (Load bearers) as their capital. How was such a beautiful temple built on such a terrain so high up the mountain? Why was it built at that height? 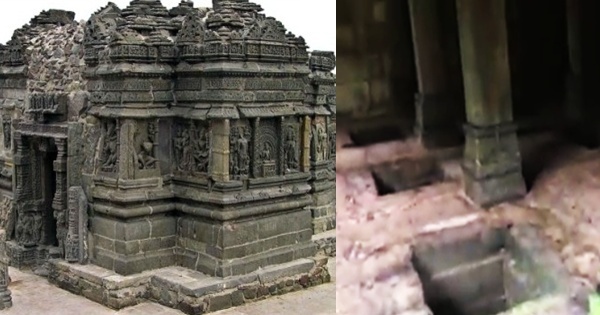 What technology was used to complete this wonderful structure?This will never be answered but speculated….So, how many of us know about Lakulisa? There are many ideologies on Lakulisa. Each one of us have our own interpretation of Shiv. It's believed Lakulisa is the 28th incarnation of Lord Shiv as a Yogi. He is depicted as Shiv holding a mace or club with praying beads and human skull, naked. Yogi Lakulisa revived and restored Shaivism in India and also believed to have established the Pashupata sect of Shaivism. Although the exact period is unknown in our history, it's deduced that he was born in Karvan near Baroda. I strongly believe he walked the Earth during the "Indus Valley civilisation" and wandered around North and East of India. ?? The crumbling structure has pilasters with exquisitely carved figures of divine and celestial beings. All around the temple there are carvings of Brahma, Vishnu, Kalyanasundaram Murti, Dakshina Murti, Gajendra Moksh, Indra, seated Ambika and Sarasundari figures. The mandapa stands on eight magnificently carved pillars with Kichak (Load bearers) as their capital. How was such a beautiful temple built on such a terrain so high up the mountain? Why was it built at that height? What technology was used to complete this wonderful structure? This will never be answered but speculated. So, how many of us know about Lakulisa? There are many ideologies on Lakulisa. Each one of us have our own interpretation of Shiv. It’s believed Lakulisa is the 28th incarnation of Lord Shiv as a Yogi. He is depicted as Shiv holding a mace or club with praying beads and human skull, naked. Yogi Lakulisa revived and restored Shaivism in India and also believed to have established the Pashupata sect of Shaivism. Although the exact period is unknown in our history, it’s deduced that he was born in Karvan near Baroda. I strongly believe he walked the Earth during the “Indus Valley civilisation” and wandered around North and East of India. Have you ever been to a medieval coin minting workshop? 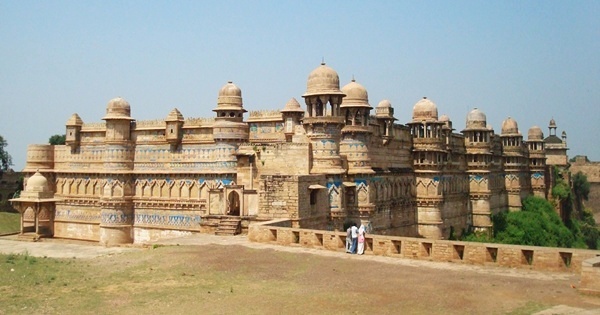 This particular minting factory was operational from anywhere between 8th-15th century under the Chavda dynasty, Khichi Chauhan Rajputs and later Sultan Mahmud Begada at Pavagadh, near Champaner, Gujarat. During those days coins were made by skilled professionals using simple tools. The basic tools were an oven for heating blanks or flans (a metal disc), tongs for handling hot flans, a table or a bench on which an anvil was mounted and a pair of dies struck with a heavy hammer to impress the design into the flan. Dies were made of bronze or iron. Have you ever been to a medieval coin minting workshop? Watch this video to find out how an ancient mint looked like. This particular minting factory was operational from anywhere between 8th-15th century under the Chavda dynasty, Khichi Chauhan Rajputs and later Sultan Mahmud Begada at Pavagadh, near Champaner, Gujarat.During those days coins were made by skilled professionals using simple tools. The basic tools were an oven for heating blanks or flans (a metal disc), tongs for handling hot flans, a table or a bench on which an anvil was mounted and a pair of dies struck with a heavy hammer to impress the design into the flan. Dies were made of bronze or iron. With flans very hot and dies ready, the striker (with his assistant handling the hot flans) placed the flan between the dies with the help of a tong. He then would strike the punch with the coining hammer. This process may seem slow but the professionals developed a rhythm and a team of coiners could mint 20,000 coins each day. The several pits which are visible now, must be ovens for heating metal flans. There seems to be an underground hall which acted like a furnace, from where the fire was managed for every oven or pit. One can easily visualise many skilled professionals striking the coin hammers continuously in a perfect rhythm during medieval India inside this Mint house. The ruins outside the mint structure displays a strong fortification, indicating powerful security arrangement guarding the cash..!! With flans very hot and dies ready, the striker (with his assistant handling the hot flans) placed the flan between the dies with the help of a tong. He then would strike the punch with the coining hammer. This process may seem slow but the professionals developed a rhythm and a team of coiners could mint 20,000 coins each day. The several pits which are visible now, must be ovens for heating metal flans. There seems to be an underground hall which acted like a furnace, from where the fire was managed for every oven or pit. One can easily visualise many skilled professionals striking the coin hammers continuously in a perfect rhythm during medieval India inside this Mint house. The ruins outside the mint structure displays a strong fortification, indicating powerful security arrangement guarding the cash! !